It's no secret that here in the East Bay, we love our local breweries, wineries, and distilleries. What better way to celebrate the holiday season this year than with a locally produced glass of wine, cider, sake, or whiskey? Note: Some of these prices may vary depending on where you buy them. Unless we listed a specific address, check the website for a list of retailers. Home Base Spirits was founded by twin sisters Alexandra and Samantha Blatteis, who were born and raised in Oakland. Its goal is to produce whiskeys that are also agricultural products, made using locally sourced and sustainable ingredients. While the distilling is done off-site at small local distilleries, the sisters age, blend, and bottle their whiskeys at their facility in South Berkeley. Bourbon Batch 8, which was released in July 2018, is aged 22 months and has tasting notes including honey, graham cracker, leather, toffee, apple, and sarsaparilla. Den Sake claims to be the first sake brewery in Oakland. Owner and master brewer Yoshihiro Sako makes his handcrafted, small-batch, unpasteurized sake using Calhikari rice from the Sacramento Valley. Den Sake's first two batches were released in August 2018, and according to an Umami Mart representative who sells Den Sake, Batch No. 3 should be available around November or December, just in time for the holidays. Umami Mart describes Batch No. 2 as an acidic sake with grape notes, similar to wine. Far West Cider Co. uses apples from its own fourth-generation family farm. Its 2016 Proper Dry cider won a 2018 Good Food Award and features crisp, clean acidity with a dry finish. Or there's the 2016 Orchard Blend No. 1, a semi-sweet cider made from GoldRush, Cripps Pink, and Granny Smith apples and fermented at low temperatures with Champagne yeast to provide complexity. Last holiday season, we suggested Richmond-based Falcon Spirits Distillery's Amaro Aplomado; this year, may we suggest the distillery's new release, Aperitivo Aplomado? It's a striking, bright orange amaro colored with annato seeds. It derives its lingering bitterness from gentian root. Sweet and floral flavors provide contrast, derived from a total of 26 herbs, roots, flowers, and fruits such as orange peel, chamomile, and marigold. Oaklyn Reserve Wine is an Oakland-based wine label founded in 2016 by Diana Chu, who grew up in Oakland, and her husband James Yang, who hails from Brooklyn. The name is a portmanteau of their two hometowns. There are currently two wines available for purchase on their website. One is a dry 2017 Rosé, made using a blend of Grenache and Syrah grapes grown in Acampo, just north of Lodi. 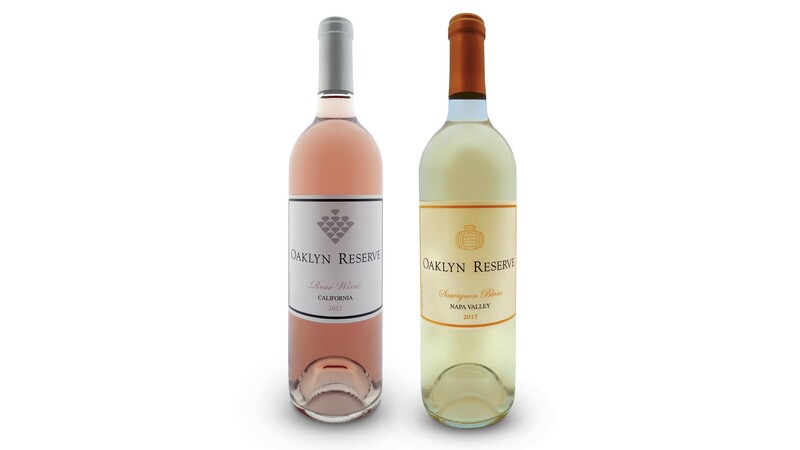 According to Oaklyn Reserve, this wine has "aromas of white peach, field strawberries and wild raspberries." Or go for the 2017 Sauvignon Blanc, made with grapes sourced from an organic dry-farmed vineyard in Yountville. Half of the wine is aged in barrels to add complexity, while half is aged in stainless steel to create a refreshing and crisp taste. Mosswood is a Berkeley-based company that sources, ages, and blends unique whiskeys. One of the most intriguing is the Sour Beer Barrel Whiskey. Mosswood starts with a light whiskey from Indiana, then ages it in beer barrels that were formerly used to brew sour beer. They've sourced beer barrels from two local East Bay breweries, The Rare Barrel in Berkeley and Drake's in San Leandro. Even the name is local — it's named after Oakland's Mosswood Park, near where Mosswood's owners Therese Agnew and Jake Chevedden used to live. Herb Houston, the former CEO of the Haight Ashbury Free Clinic, and his wife Debbie Gebeyehu founded Enat Winery in 1999. At their East Oakland production facility, they only make two kinds of Ethiopian honey wine, known as tej — a traditional version and a sweeter, orange blossom honey version. There are no grapes in tej, and Enat's version uses Gebeyehu's mother's recipe. Enat's tej is also sulfite- and preservative-free. Though the wine is sweet, it's tempered by the bitterness of an Ethiopian herb called gesho. 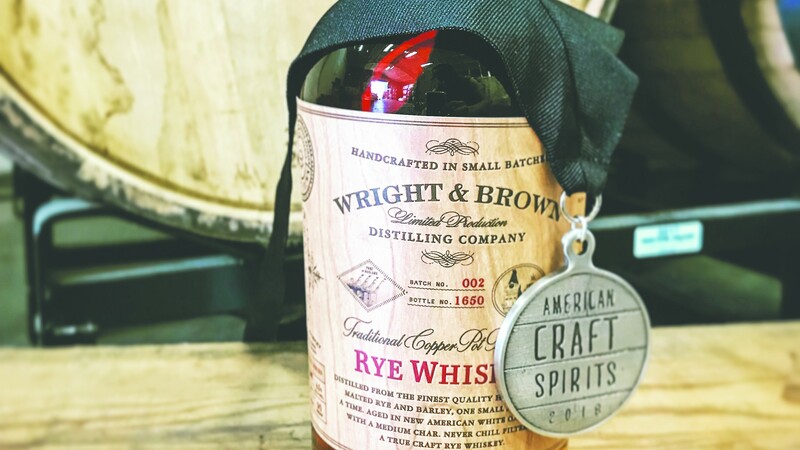 Wright & Brown was the first distillery since Prohibition to legally produce whiskey in Oakland. Founders and childhood friends Daniel Wright and Earl Brown use an artisan copper pot still to distill every batch. They also produce an aged rum, a bourbon, and a brandy. They use high-quality, non-GMO malted grains, molasses, and wine, and prefer to source from local, sustainable, and organic farms wherever possible. Donkey & Goat is a Berkeley-based, all-natural winery owned and operated by Jared and Tracey Brandt. Since 2004, Donkey & Goat has been making wine using sustainably farmed grapes and no additives, except minimal effective sulfur. By purchasing a gift membership, your recipient will receive at least three shipments of six or 12 bottles each. They'll also receive perks such as discounts on wines, access to exclusive members-only wines, free bottle service in Donkey & Goat's urban yard, free tastings with new releases, free tickets to release parties, and discounts on tickets to Donkey & Goat's annual Harvest Party. Choose from a variety of wines, or a mostly red shipment.